There’s a quote said, “After a war, no matter what is right, but what is left”. 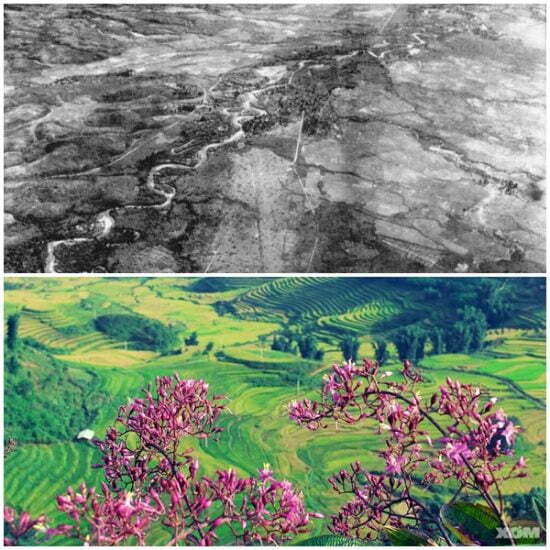 And with Vietnam, what is left after over 40 years since the dark decades long gone, is surprising. Raising from the ash, Vietnam is quickly changing for the better, with modern shiny buildings come up, first-class resorts mushroom, top-of-any-list beaches keeps attracting millions of worldwide travelers. 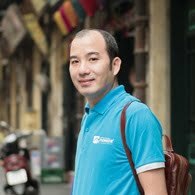 And what is left in history aspect, the war sites, interestingly now can be considered as one of the most important Vietnam attractions. It is found that visiting Vietnam war sites not only interesting but also extremely moving. From photography exhibitions to the underground tunnel networks and bomb craters that remain today some places are definitely very emotional to spend time at. In this part, we will discover the former battlefields and war sites in the beautiful northern Vietnam region. The north not only witnesses the American War but also the French War (1944-1954) and the Border War against China (1979-1985). Vi Xuyen is a rural district of Ha Giang Province in the Northeast region of Vietnam. Once in the history it was the battlefield of Vietnam and China, where Vietnamese soldiers and civilians have to fight over Chinese troops to protect their national northern border 40 years ago. Started from February 1979, when in all of sudden China sent more than 600,000 troops into Vietnam, Vi Xuyen quickly became one of the most cruelty battlefield in Vietnam history until 1985. 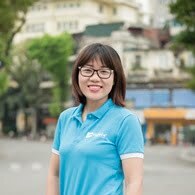 Nowadays the Vietnamese Government has financially helped with the construction of the new roads and infrastructure, and there are also some modest hotels. 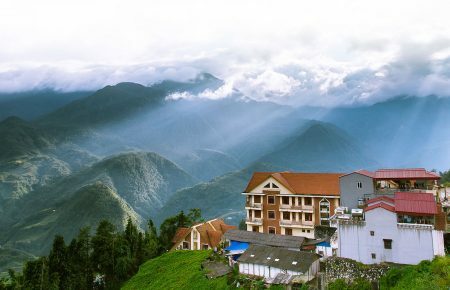 In Ha Giang town you will find any type of hotels and accommodation as well as homestay. 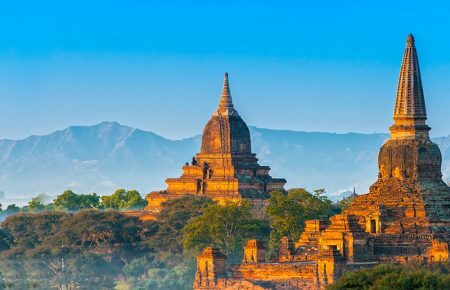 You will see a lot of fantastic mountain scenery over the whole area, also beautiful hills, valleys and villages and unique ethnic minority culture. 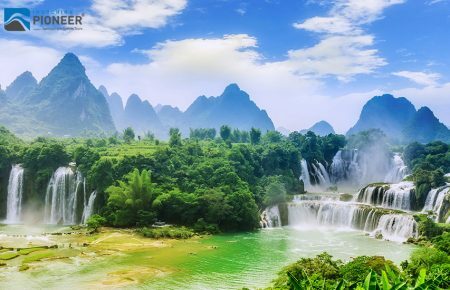 The farthest and the most beautiful place of Ha Giang province is Dong Van Karst Global Geopark, listed by UNESCO as one of 77 sites with the important geological and cultural heritage. This geopark is littered with the ethereal karst formations that are nearly 400 million years old, and has two protected areas. 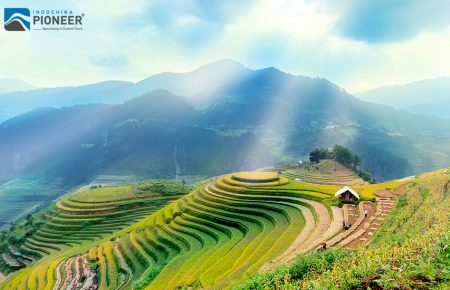 The amazing rice terraces of Hoang Su Phi is also noteworthy place for nature and culture lovers. 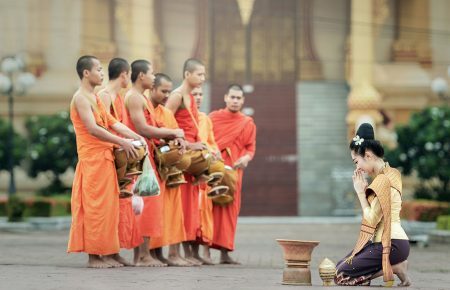 Hoang Su Phi is the perfect combination of untouched nature, ethnic villages and cultural heritage. 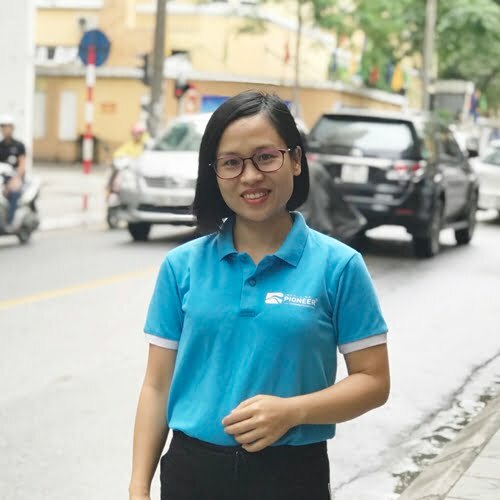 Tuyen Quang and Bac Kan are two provinces located in the northeastern part of the country to the northwest of Hanoi, which played an important role in the French War period. The town of Bac Kan was one of the early headquarters of the Viet Minh in the war against the French, while Tuyen Quang, the capital city of the province has a rich history of the battles fought in the region. 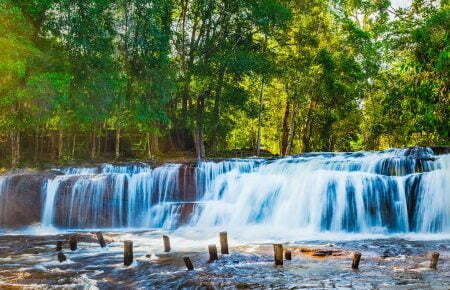 Nowadays, Bac Kan tops the list of must-go destinations for worldwide travelers. Because of its relatively remote location, Bac Kan boasts its untouched natural beauty of natural rivers, lakes, fountains, caves and forests. Among these sceneries, Ba Be Lake, comparable to “sea on the mountain”, is one of the twenty most beautiful lakes in the world. 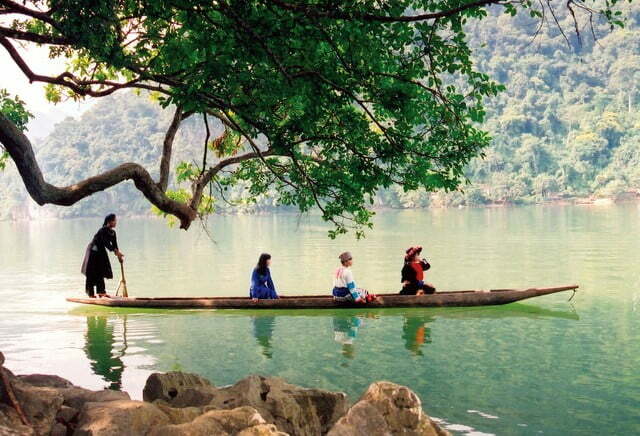 In Bac Kan, visitors will also have the chance to visit many historical sites that preserve the history of the Indochina War and discover the culture of local ethnic minorities. 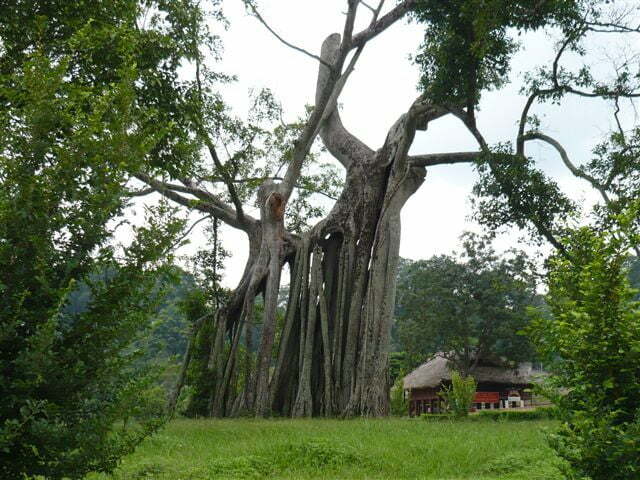 In Tuyen Quang, besides the widely topography covering high mountains and deep valleys, travelers can also explore Tan Trao historical and revolutionary relic site, which now becomes into a national tourism site. Lying to the west of northern Vietnam, located in the Muong Thanh valley in a heart shape, Dien Bien Phu is a town of rich war history. In 1954, the communist oriented Vietminh with Ho Chi Minh fought against the French colonial army. It was a decisive battle of the Indochina War. This was a key moment of the cold war, in which the French tried to win the war of their colonies, it was between 1946-1954. 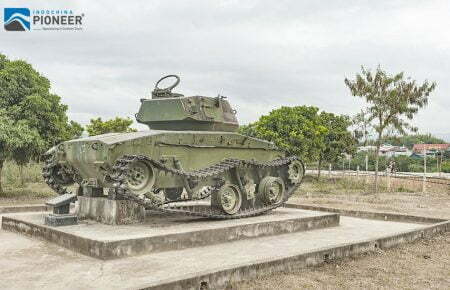 Some remnants of the war can be seen around the town of Dien Bien. In Dien Bien Phu, you can take a visit to the most famous historical sites like The Town Museum, the Cemetery of Vietminh Troops, Hill A1, D1 War Memorial, Bunker of Colonel de Castries. Another notable war site is the headquarters of general Vo Nguyen Giap in the village of Phang – Muong Phang. This place was the headquarters of Vietnamese troops and general Vo Nguyen Giap, the legendary man who lead to the 1954 victory. Dien Bien Phu is also an ideal destination for making visit to Trung Tay border crossing to Laos and Pa Khoang lake and reservation. If you want a break between the war monuments, Pa Khoang is a perfect choice where you can rent a boat and take a cruise or experience the local life of ethnic residents around the lake. Built by the French since 1886, the Hoa Lo prison was originally a place to punish Vietnamese activists seeking independence. Once home to John McCain and other unfortunate prisons of the war, Hoa Lo prison now is one of the must-see places for travelers interested in war history. Although heavily laden with propaganda, the harsh realities of life inside Hoa Lo Prison can be seen – and felt – everywhere. The infamous “Hanoi Hilton” has even been the subject of movies depicting the horrors inside. The guillotine once used for executions can still be viewed. The Hoa Lo Prison is worth a visit for experiencing the colonial experience as the Vietnamese see fit to tell it, and guess at the stories untold by the silent walls and shackles on prominent display. The Vietnam Military History Museum, set up on 17 July 1956, is one of seven national museums in Vietnam covering 12,800 m2. 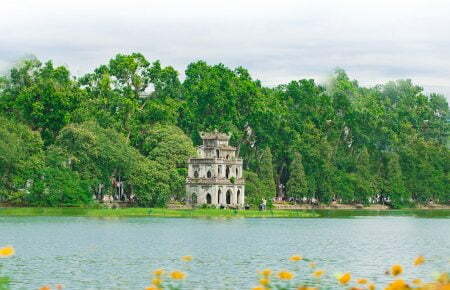 It is situated in central Hanoi, and near the Ho Chi Minh Mausoleum. The Flag Tower of Hanoi is located inside of the museum grounds. This museum collected, stored and displayed 150.000 artifacts, including many artifacts, collections and valuable history that reflect the war against enemy. After your time here, you will realize that the museum is the concentrated embodiment of the Vietnamese people’s spirit revealed in President Ho Chi Minh’s writing: “Nothing is more precious than independence and freedom” in the historic Nation’s Independence Proclamation. 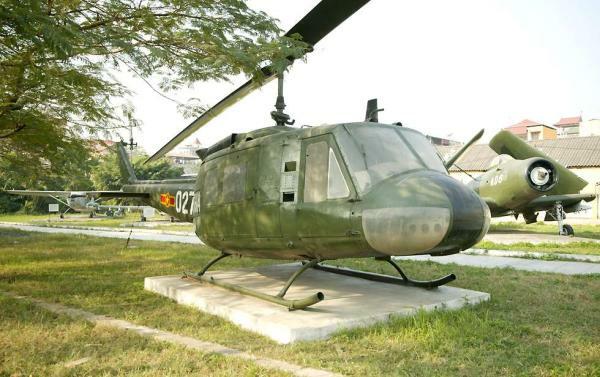 Through honest and unique original artifacts, the museum really becomes a center of culture and an attractive destination for visitors to learn more about military history of Vietnam. 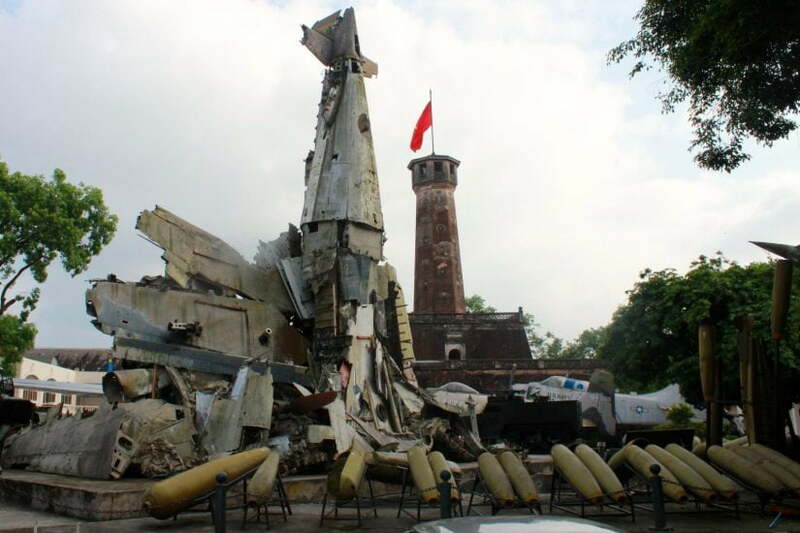 The Vietnam People’s Air Force Museum, is located on Truong Chinh Street in the Bach Mai District of Hanoi. The museum is on the edge of the disused Bach Mai Airfield. The museum tells the history of the Vietnam People’s Air Force (VPAF) from its formation in 1954 through to the present day. There is a heavy emphasis on its role in the Second Indochina War and the Cambodian-Vietnamese War. The museum comprises one main building with displays on the history of the VPAF, biographies of VPAF aces, uniforms and flight suits, aircraft weaponry and engines, items from downed US aircraft and the forward fuselage of a MiG-21. Outside is a static park with aircraft of the VPAF and the Republic of Vietnam Air Force. 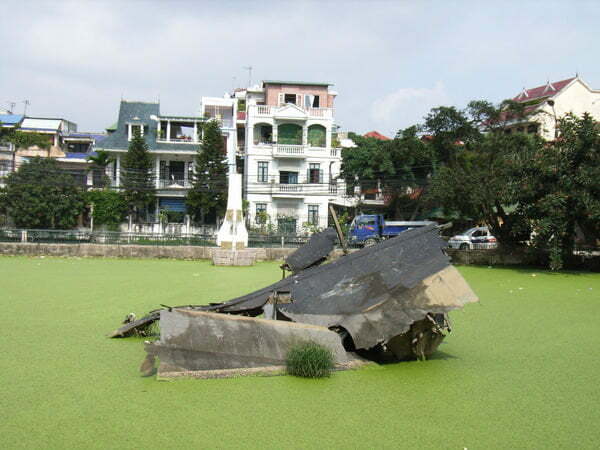 While being in Hanoi, you are also able to take a visit to the Huu Tiep Lake in Ngọc Hà Ward (known as the B-52 lake), which is more a rather large pond it contains wreckage of a B-52 Stratofortress shot down in 1972 during Operation Linebacker II. Truc Bach Lake is also a well-known place as the site here future United States senator John McCain landed during the Vietnam War after being shot down.